India is a country with rich culture and a lot of rituals but the very first time when we see all the rituals so closely is at our wedding. These are not just rituals but the memories that will stay in our forever. So. to keep them in your mind as well you need good pictures to take you back to the time when you actually live the moment. So here are we to give you a list of the best candid photographers in Delhi/NCR so that you don’t miss a moment of your wedding. If you are about to get hitched in two months or so, pull your socks up right now because you may need to take an appointment much before. Here we go. The man behind Click Sutra was doing a job when he finally quit it to follow his passion for photography. It’s been 14 years since he started Click Sutra. He captures the candid moments at the wedding. The line used by Click Sutra: Hum Khate Huye Photo Nahi Kheechte aptly tells how he captures the unscripted beautiful moments in a wedding. Dipak Studios needs no introduction in the area of photography. He has done photoshoots in the weddings of the celebrities like Rishi Kapoor and Amitabh Bachchan. Now you can imagine the level of photography he does. It says Just like Maggi-masala, spicy and different. This line holds true in respect with the photography by Arjun. He captures the normal moments with such flair that it looks so full of masala. We love it! 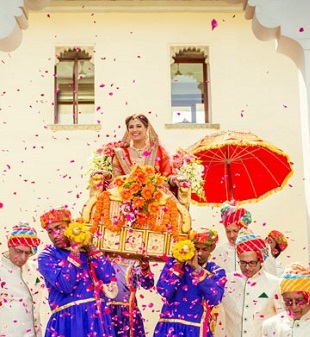 Avantika Meattle is a candid wedding photographer who has completed her 7 years of photography in Bollywood. 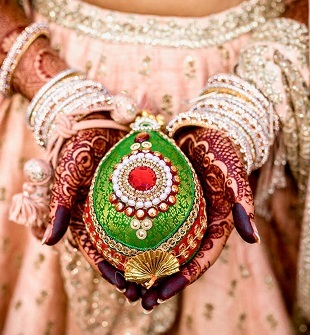 Her pictures will remind you of each and every moment of your wedding. Arjun Kartha can’t be missed out here. 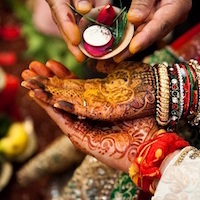 It is a company which has won an award for the Best Indian Wedding photography. Arjun and Praerna are the people behind Arjun Kartha Photography. They capture the feeling with details in a unique style which is fun as well as emotional. Rishabh Sood is the main photographer at Candid Tales Photography. 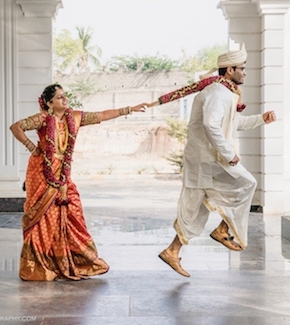 He captures the most casual moments of the wedding in the finest way possible. His pictures speak a thousand words. He even goes to various places in and outside India for Wedding Photoshoots. Whenever you will look back, you won’t have that time back with you. But it’s your wedding, you are one who has to make efforts to make it special. Don’t leave any stone unturned to make your D-day the best day of your life and I believe the moments from your best day can’t just be left out like that. Invest in memories and not things, it will give you a better outcome in the long run. If you found the article helpful, give your suggestions in the comments section below and let us know whose photography you liked the most.